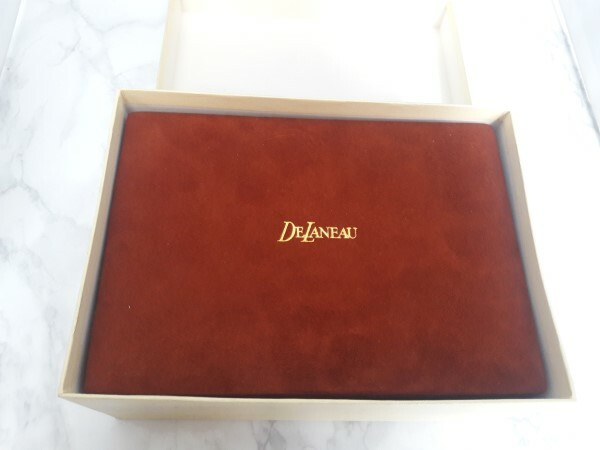 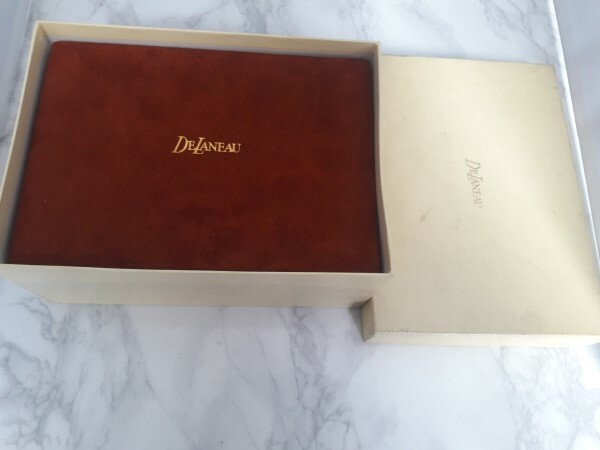 Rare 1970's DELANEAU presentation suede watch box. 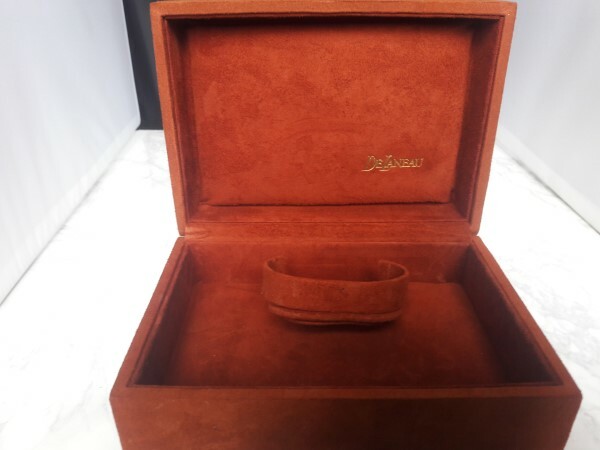 Ideal for storing and displaying your vintage watch. 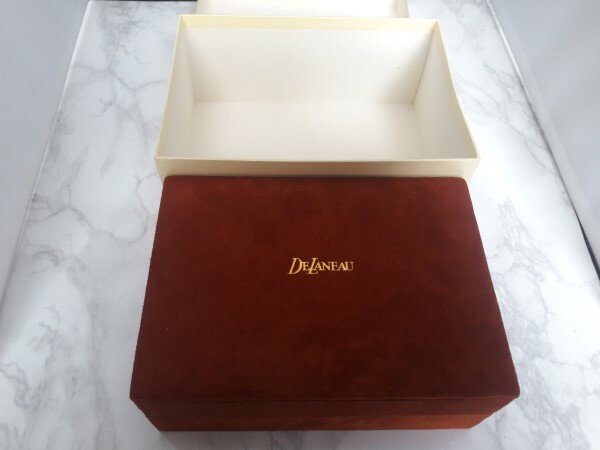 The inner box is in mint condition, the outer showing signs of age and bad storage.